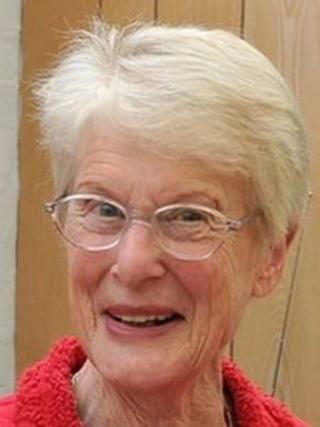 A retired schoolteacher found dead in her cottage had been stabbed in the neck, an inquest has been told. Birmingham-born Betty Yates, 77, was discovered at the foot of the stairs in Bewdley, Worcestershire, on 4 January. Provisionally the cause of death was given as stab wounds to the neck at Worcestershire Coroners Court following a post-mortem examination. The hearing was adjourned until 1 March for more inquiries to be made and where progress of the case will be reviewed. Opening and adjourning the inquest, coroner Geraint Williams released the body of Mrs Yates back to the family for a funeral service. She is to be cremated, the court heard. Police were alerted by a friend, who was concerned for the widow's welfare, and officers went to the cottage, which overlooks the River Severn down an isolated track in the Bewdley area. The West Mercia force has started a murder inquiry into Mrs Yates's death. A knife, believed to be the murder weapon, was recovered at the scene. Det Ch Insp Neil Jamieson described the killing as a "horrendous" offence committed against a pillar of the community. In a statement he said: "We will not rest until Betty's killer is caught and I would appeal directly to that person not to wait until that happens and to contact us now. "We believe someone out there knows what happened or suspects who was responsible. "This was a callous attack on a much-loved and respected member of the community and the smallest snippet of information could have an important bearing on our investigation."